When do you need to comply with the new rules? The Consumer Financial Protection Bureau (CFPB) has set the mandatory effective date of TRID 2.0 for October 1st, 2018. What to expect from 2.0? 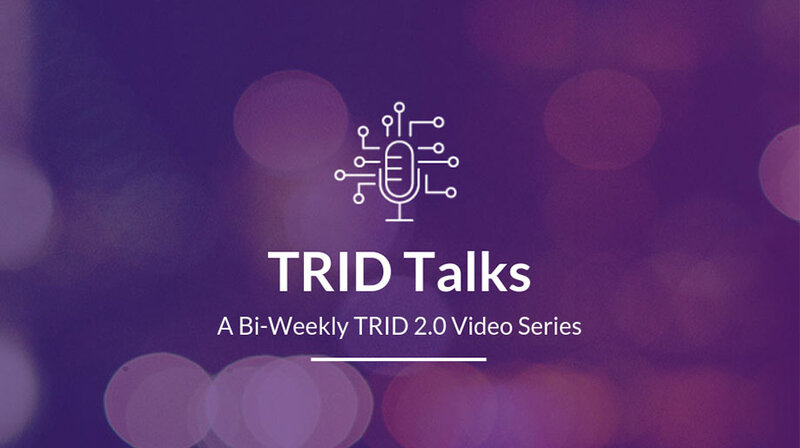 Major clarifications that are addressed by TRID 2.0. Prior to TRID 2.0 for percentages stated that you could disclose percentages up to three or four decimal places. DocMagic took the position that we would always disclose three decimal places. Anywhere you see a percentage shown on the loan estimate or the closing disclosure in your loan terms or in your calculations disclosures it will be calculated to three decimal places. The current rules also state that where there is a whole number disclosed as a percentage, for example 4.000, it would not be disclosed to three decimal places, but rather would be disclosed as a whole number. Another change would be to the prepaid daily interest amount that occurs on both the Loan Estimate (LE) and Closing Disclosure (CD). The daily interest is the amount that is being multiplied by the number of prepaid days to get a total prepaid interest number. DocMagic currently displays that number to four decimal places because there is no restriction on that under the original TRID rule and we have always used up to four decimal places in our calculations. TRID 2.0 specifically says that the prepaid daily interest amount should be disclosed to two decimal places. So, we’ll be truncating at the second decimal place, but please note, our calculations will continue to operate on a calculation that’s based on four decimal places. Seller Credits - Did this change? When Calculating Cash to Close on the Closing Disclosure, if the amount disclosed for seller credits on the last disclosed LE differs from the amount disclosed on the CD, the creditor must include a disclosure referring the borrower to the seller credit amount. Currently, this disclosure would only refer the borrower to page 2 where closing costs paid by seller are itemized. Under the Rule, this disclosure must also refer to the general credit that is disclosed in the Summaries of Transaction. DocMagic has automatically updated the language disclosed in the “Did this change?” section to reflect this change. The new TRID 2.0 rule only addresses the effect of negative prepaid interest in the total interest percentage. The rule indicates that you must consider negative prepaid interest in the total interest percentage. DocMagic believes that this should be treated consistently across these calculations based on informal guidance received from the CFPB. If you have an existing configuration option set to ignore negative prepaid interest in your calculations, it will need to be removed to be compliant with the new TRID 2.0 rule. There are two borrower situations that vary from the typical borrower situation where there is a borrower that is both on the loan and on the title. The first example of one of these situations would be a rescindable transaction, a re-finance being the most common example where you have persons that are only on title but are not borrowers. In this situation you are required to provide the closing disclosure to those persons. This helps with some of the confusion where persons, who are non-borrowers, may wonder why they would be listed as a borrower. Under TRID 2.0, if you have a title only person or a non-borrowing spouse (which is called a non-title spouse here at DocMagic) you would enter those as you have previously. We have automatically updated our systems, to not show that person as a borrower on page one but they will still appear on page five under the signature lines, if you have signature lines. The other unique situation that is clarified under TRID 2.0 is making a loan to a trust. A trust is an entity that may not otherwise meet the definition of consumer, meaning a natural person. However, in the original TRID rule there was discussion about how the rule still applies to loans that are made to trusts. In those situations, you would look through the trust to find who will be the beneficiary of the loan, as well as the beneficiary of the trust and that would be the individual(s). According to the consumer protection statute seeking to protect consumers, that would still apply in a loan to a trust. The one change, based on that analysis, was that the rule indicated the disclosure should be provided to the beneficiaries of the trust (aka the actual consumers who are benefiting from the loan). However, recognizing the legal relationship of the trust as borrower, the rule clarifies that your disclosure should be made to the trustees as representatives of the trust. As a DocMagic user these configurations will take care of themselves in the programming. You can continue to enter in transactions as usual. The first change to the Closing Costs Expiration Date in TRID 2.0 is how many days are allowed between the issue date on the LE and the Closing Costs Expiration Date. The Closing Costs Expiration Date is the date by which your consumer must provide an Intent to Proceed to lock-in the closing cost estimates. Under the original rule it was written in a way that limited the number of days to only allow 10-business days between your issue date and the Closing Cost Expiration Date. This rule seems to unintentionally contradict the original GFE rules from 2010 that state the requirement had always been to be at least 10 days. Now allows at least 10-business days or more between the issue date of the LE and the Closing Costs Expiration Date. To accommodate that change DocMagic has added a configuration option to our system to allow users to indicate the number of days they would like to use for calculating the Closing Cost Expiration Date. The next change to the Closing Costs Expiration Date is what happens once the Initial Disclosures are finished and you're now issuing a re-disclosed LE. That could be confusing for borrowers because the Closing Costs Expiration Date would not update and could result in the date sometimes being in the past. For example, if you issued a disclosure on the 13th but had previously issued a Closing Costs Expiration Date with a date of the 10th. DocMagic users don’t need to update their configurations as this is already taken care of in the programming of our form. However, if you are not providing an Intent to Proceed date before, under the original TRID rules, you would want to do that now. If DocMagic has an Intent to Proceed date, it will blank out the Closing Costs Expiration Date. But if there’s no intent to proceed date, the Closing Costs Expiration Date would continue to appear. Under the original TRID rule the Cash to Close for Subordinate Lien Transactions would show large amounts, amounts that could be somewhat off putting to consumers. The CFPB streamlined their rules for how to do the Cash to Close for simultaneous transactions. Users now ignore sale price both for the Cash to Close and the disclosures. There is also the option to remove any reference to a seller on these transactions. At DocMagic we’ve added a new data point to our model so that we know when to trigger these new rules. DocMagic online will indicate when a transaction is a simultaneous subordinate lien transaction. One of the changes that the CFPB made in TRID 2.0 relates to post-consummation inspection and handling fees and how those are disclosed on the LE and CD. These are fees that would usually be collected during the period of the construction phase, for example, for multiple draws and if there is a draw fee for each, and for inspections that need to take place prior to the lender approving the draws, and there's a fee for that inspector. Those would be examples of post-consummation inspection and handling fees. Under the original rule says these fees are not disclosed as normal closing costs like every other cost to the loan on the Loan Estimate and Closing Disclosure. Rather, they need to be disclosed to the borrower, but not as closing costs. Post-consummation inspection and handling fees need to be disclosed on an addendum to the LE and the CD. On that addendum you will see an aggregate amount of these inspection and handling fees instead of an itemized listing of each of the construction and inspection and handling fees. Additionally, because these fees are not closing costs, it means that they won't be considered in the Cash to Close that the borrower needs to bring to the closing table. It typically refers to those costs that are in the origination charges section and in the services you can, borrower did, and cannot, and borrower did not shop for section. On the Loan Estimate those are the charges on the left side of the form or on the CD those are the charges on the top half. It's important to note this because it means that while they're not considered closing costs and not considered in the Cash to Close calculations, they are considered in certain other disclosures, like the TRID total of payments amount. the TRID total of payments amount includes all payments of principle interest, MI, and loan costs. It also means that these charges are considered in the in-five-years calculations and they also need to be considered as finance charges. The changes to Construction Loans relate primarily to how Appendix D requires a creditor to disclose a construction loan. There are generally two options under Appendix D that you can disclose a construction loan. DocMagic follows option #1 where the amounts are not known nor is the time at which they're going to be made. So that means that you disclose the interest only payment during the construction phase as equal to the interest payment on half of the commitment amount, meaning the amount of money that's dispersed at close, or dispersed during the construction phase to the borrower. However, the construction loan agreement will indicate that the borrower, nevertheless, is required to pay interest on the amounts outstanding for the period of time they are outstanding. Under the original TRID rule you were allowed to disclose the appendix D amount and leave it at that, and that first bullet point under the original TRID rule would have referred to the first change that could have occurred but would have ignored those changes that would have occurred during the construction phase. Under TRID 2.0 you must disclose the amount based on half the commitment amount, but in the loan terms section on page one of the Loan Estimate it asks, “may this amount increase after closing”. So, where you've got the monthly principle and interest amount, that amount would be based on half of the commitment amount. And then where you see the question, “Can this amount increase after closing?” you’ll see that we're answering, yes. A tolerance cure is where a lender has exceeded the legal limit amount that was based on the amount that they originally disclosed on the loan estimate for a charge. At closing, if the amount exceeds the tolerance for either zero percent or the 10 percent amount, that amount must be cured. The rule requires that certain language appear on the form to indicate that the amount includes or is for amounts that exceed those legal limits. If there was a tolerance cure you would see it at the bottom of the closing cost details and the general lender credit amount. You would see language about this amount includes X dollars that exceeds legal limits. And then that same language pretty much would also appear in the cash to close table for the total closing cost amount, as well, under the did this change disclosure. The rule recognizes that you can also provide a tolerance cure via a principle reduction. It also modifies the ‘did-this-change’ language that would appear in the cash to close table for total closing costs and will refer the borrower to the principle reduction language that they'll see in the summaries of transaction or in the payoffs and payments table in the alternate disclosure. The change requires the ‘did-this-change’ language to be different in the cash to close table when it's a principle reduction for a tolerance cure, DocMagic had to control how when that data was being entered as a tolerance cure. Under the original TRID rule, if there was a principle reduction, you could simply type that into the summaries of transactions and you could do that with our service of DocMagic online or through your LOS. Just simply free form in your principle reduction language and your amount into the summaries of transaction table and that would automatically adjust the cash to close in the cash to close table as well as at the bottom of the summaries of transactions. That functionality will still exist under TRID 2.0. Additionally, if you have a principle reduction that's not for a tolerance cure, you would continue to enter that principle reduction in the same way.